You deserve dental treatment that addresses every aspect of your oral health. A beautiful smile should have a dazzling appearance built on a healthy and functional foundation. Dr. Kenneth W. Coffey is a restorative and cosmetic dentist in Orland Park who employs this approach to treatment with every patient. Dr. Coffey’s cosmetic dentistry treatments are designed to ensure that your smile perfectly complements your face for a completely natural-looking enhancement. We use advanced tools such as computer imaging, as well as proven traditional tools such as diagnostic wax-ups, to give you the healthy, beautiful results you deserve. If you are in need of a restorative or cosmetic dentist, or if you are in need of a dentist for ongoing general care, contact our Chicago-area office in Orland Park serving Bollingbrook and Oak Park. Your gums are the foundation of your smile. Dr. Coffey focuses on the overall health of your smile, always making certain that the gums and teeth are healthy before proceeding with cosmetic or restorative treatments. His outstanding team of hygienists can help keep your teeth and gums free of plaque and tartar, allowing you to enjoy an excellent state of oral health. Your oral health can have a profound impact on your overall health. Choose a dentist who can help you achieve a beautiful smile that benefits every aspect of your life. Contact us today. Porcelain Veneers: These thin porcelain shells are custom-crafted to fit the front surfaces of teeth, concealing minor imperfections such as chips, cracks, and discoloration. Teeth Whitening: We offer in-office and take-home whitening treatments, as well as special internal whitening treatments for teeth that have undergone a root canal. Tooth-colored Fillings and Bonding: Dr. Coffey uses tooth-colored composite material for fillings and to conceal small chips and cracks. Smile Makeover: By combining several cosmetic treatments at once, we can help you achieve a dazzling overall enhancement in your smile. 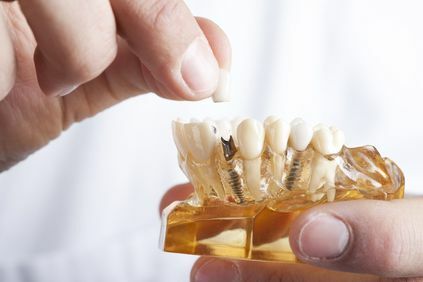 Dental Crowns and Bridges: We can provide custom tooth-shaped prosthetics to cover teeth that have been weakened by decay or trauma, or to replace missing teeth. Crowns are often the final restorative step in root canal therapy. Dental Implants: These small titanium posts are surgically implanted in the jaw, where they provide superior support for dentures, crowns, and bridges. TMJ Disorder Treatments: Dr. Coffey can diagnose and treat a range of conditions that cause TMJ disorder. 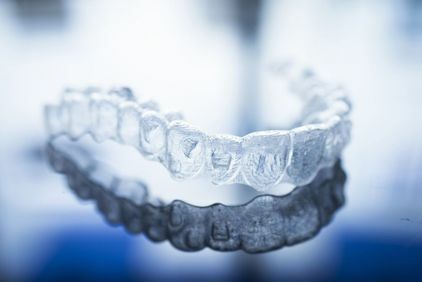 Orthodontics: We offer both Invisalign® and traditional braces to help you straighten your smile. Whether you wish to enhance the appearance of your smile, or address decay, damage, or discomfort, we can help. Contact the Orland Park office of restorative and cosmetic dentist Kenneth W. Coffey today.